A powerful winter storm forecast to cover the Northeast in snow has forced American Airlines and American Eagle to cancel about 525 flights for Friday and Saturday. 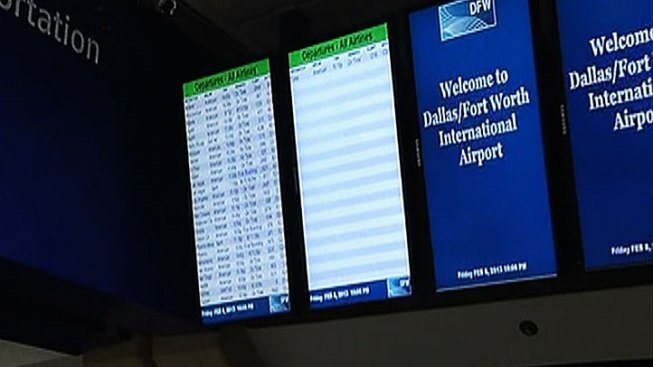 About 60 of those flights were scheduled to be heading into or out of Dallas-Fort Worth International Airport, according to airline spokesman Matt Miller. 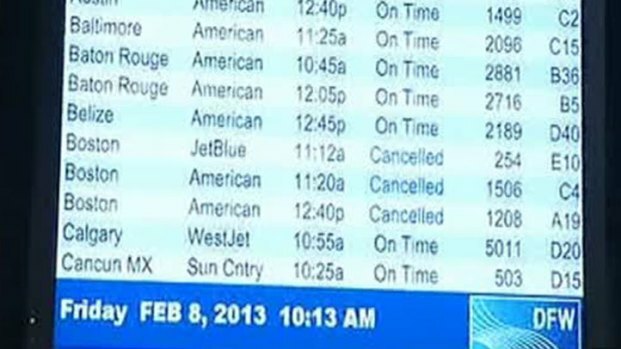 DFW Airport officials said travelers were heeding the storm warnings. Many did not bother to show up to the airport on Friday, but rebooked their flights well in advance, the airport said. The airport compared the situation to a hurricane, saying travelers had a lot of warning and time to prepare. More than 60 flights have been canceled ahead of a winter storm expected to hit the northeastern United States. American Airlines and American Eagle said they would reduce operations at a number of airports in the Northeast through midday on Saturday. The airline said it stopped operating in Boston after noon Friday and all day Saturday. Miller said American and American Eagle also would not operate at the three New York-area airports (Kennedy, LaGuardia and Newark) after 4 p.m. Friday until noon Saturday. Customers that have tickets for airports effected by the blizzard will be able to rebook flights without penalty as late as Feb. 12, Miller said.